With the full moon causing our low tide to be lower than usual, we made the decision to launch from Gansbaai harbor at 10:00 today, making our way around the infamous Danger Point before making our way into our bay to do some wildlife spotting. 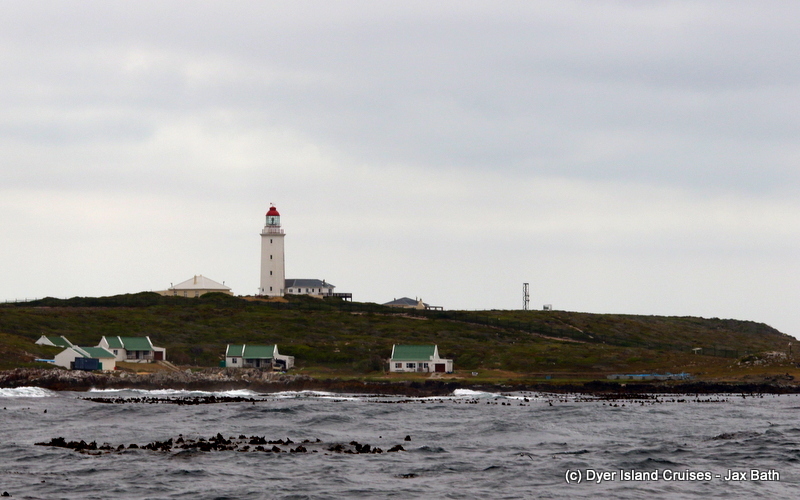 An ever scenic route, we took a quick stop over at Danger Point to have a look at the light house and point out Birkenhead Rock before heading into some deeper water to check out for any cetaceans. 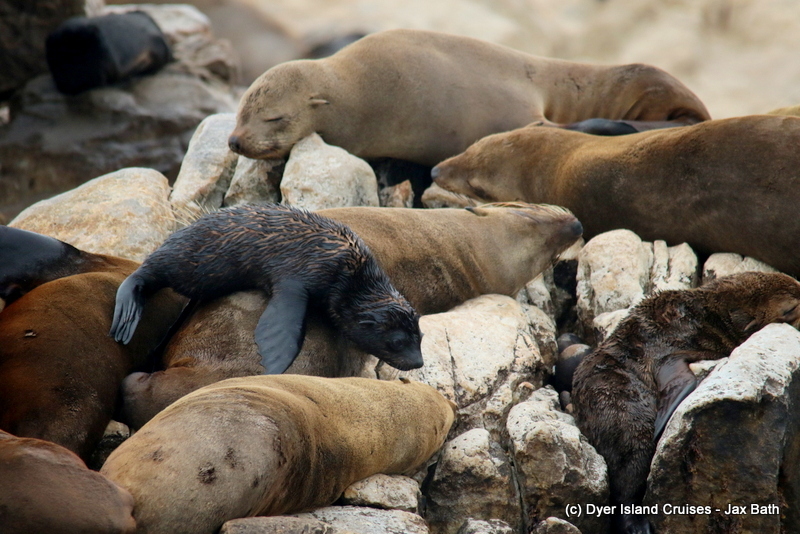 After searching far and wide, we travelled along the outer edge of Geyser Rock before taking a cruise in to check up on our resident Cape Fur Seal colony. The puppies are starting to get into areas of shallow water, that look a little bit like puppy baths, and its been lovely to watch as these cuties exercise their skills, hopping in and out the water. 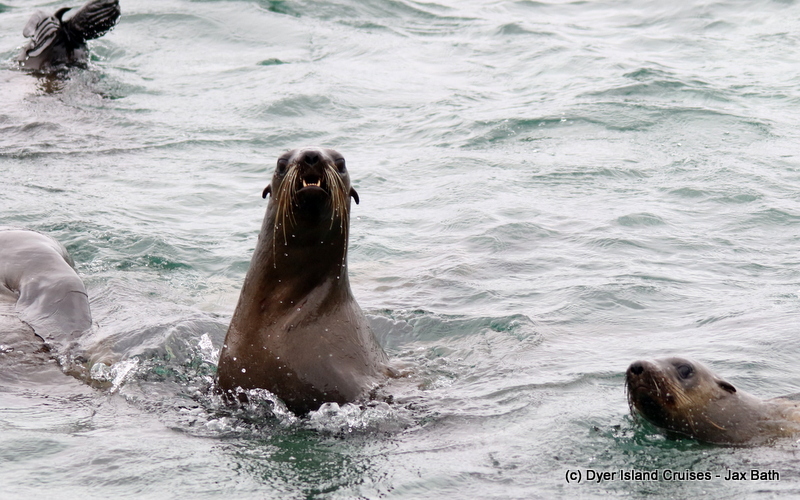 We had noticeably few seals in the water today, which sometimes gives one a bit of a sharky feeling inside the alley. 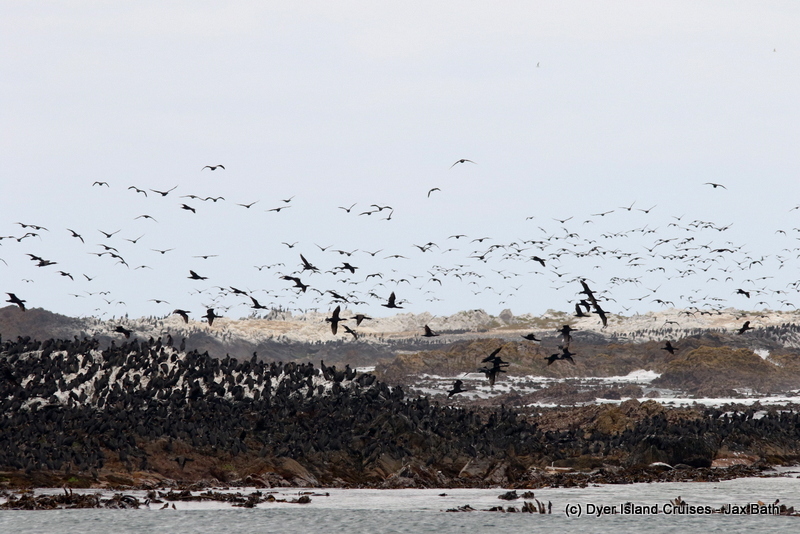 Although no sharks were spotted, we had an awesome time here before paying a visit to our birding paradise, Dyer Island. 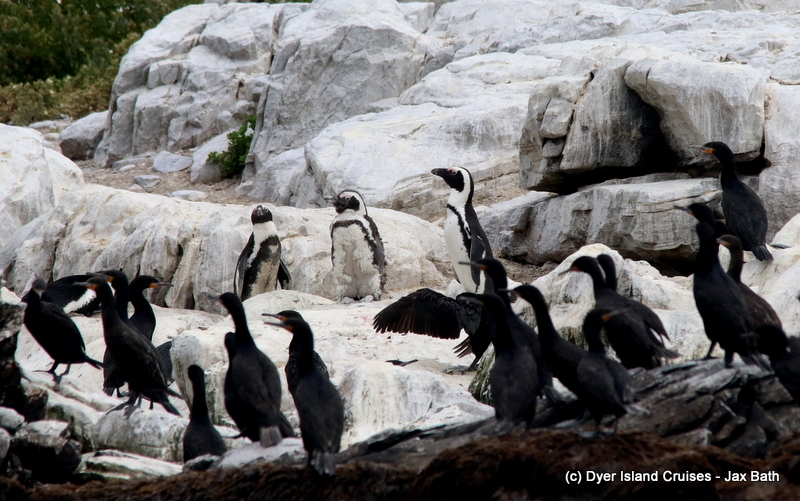 On Dyer Island, we were able to point out a few African Penguins who keep themselves well camouflaged against the guano and Cape Cormorants. Luckily for us, a good pair of binoculars quickly gives away the presence of these birds, and we were even able to watch as one of them did a bit of a waddle down the boulders. 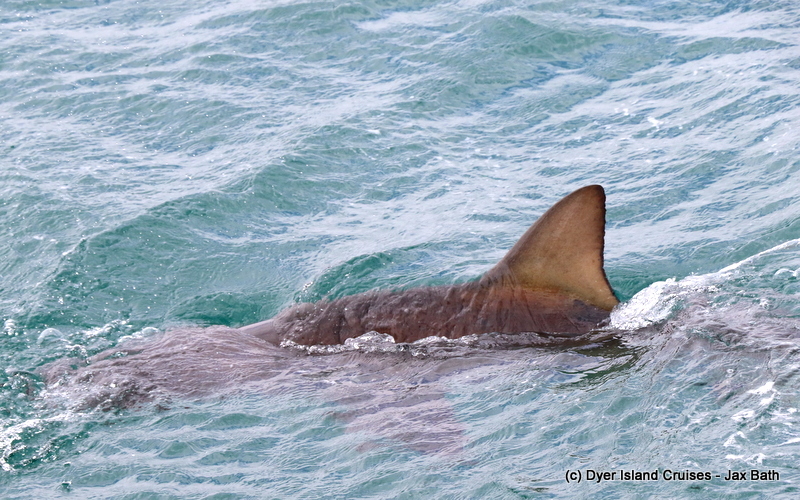 Our last stop of the day was over in the shallows, where we had a special time watching the Copper Sharks surface. 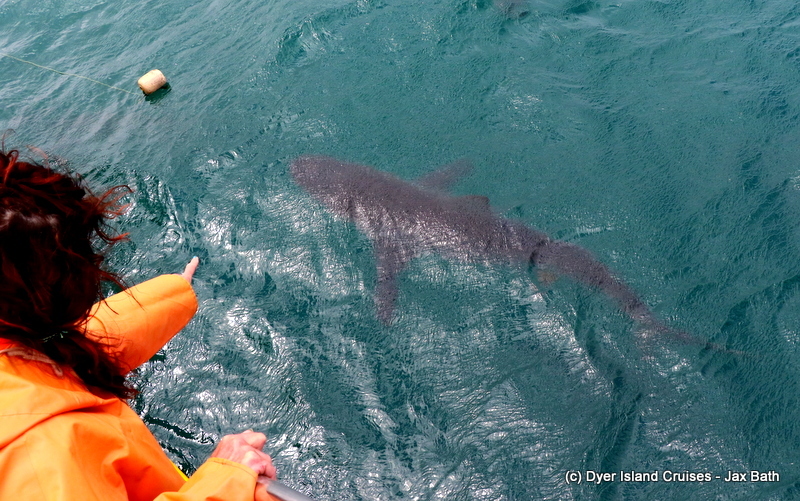 These sharks are found In our area mostly in the summer months, and we got to see them beautifully with good visibility and their curious nature driving them to the surface. 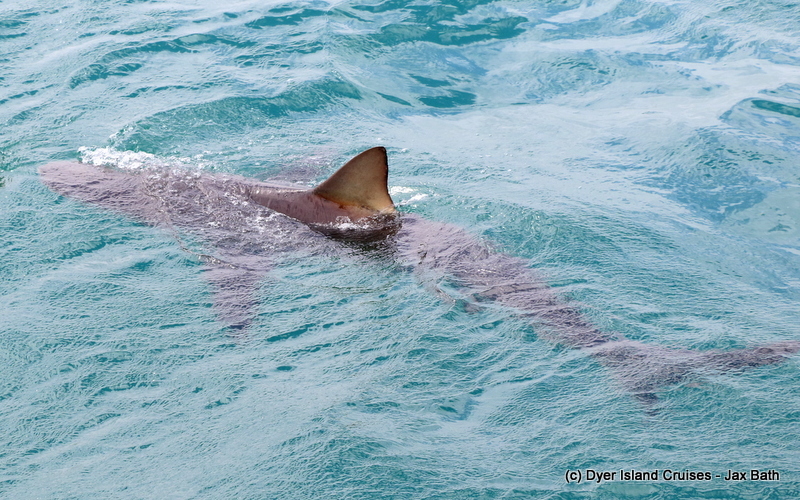 We had an incredible time in the shallows with some super curious Copper Sharks. 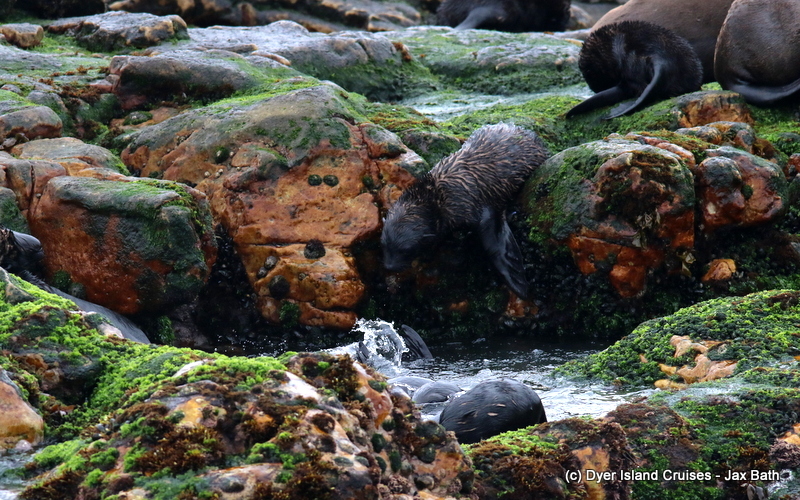 A Cape Fur Seal doing it’s morning exercise. 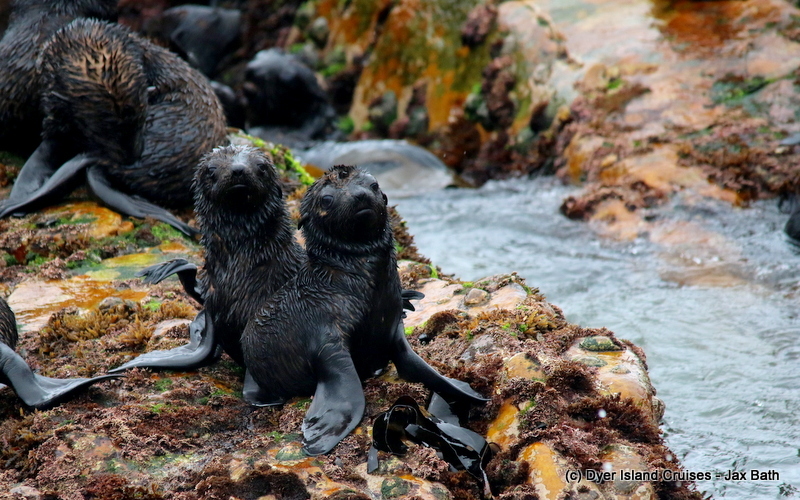 Checking us out, by nature, our seals are very inquisitive. 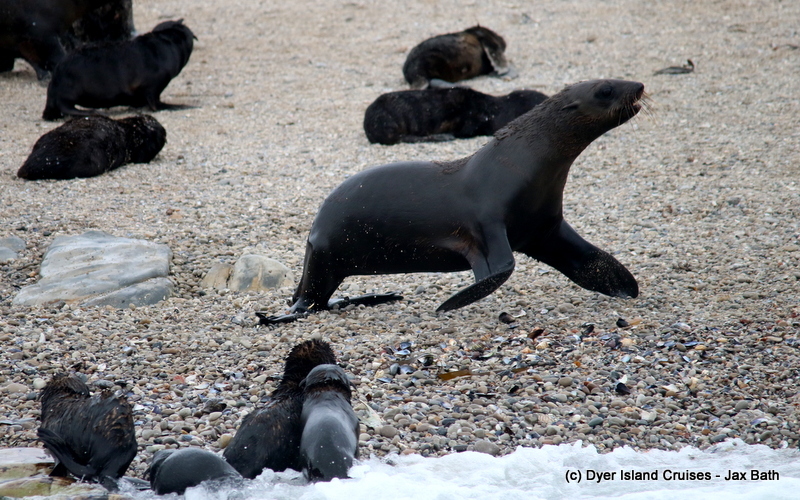 A pup scrambling over an adult or two on his way to an unknown destination. A little one about to test the waters. 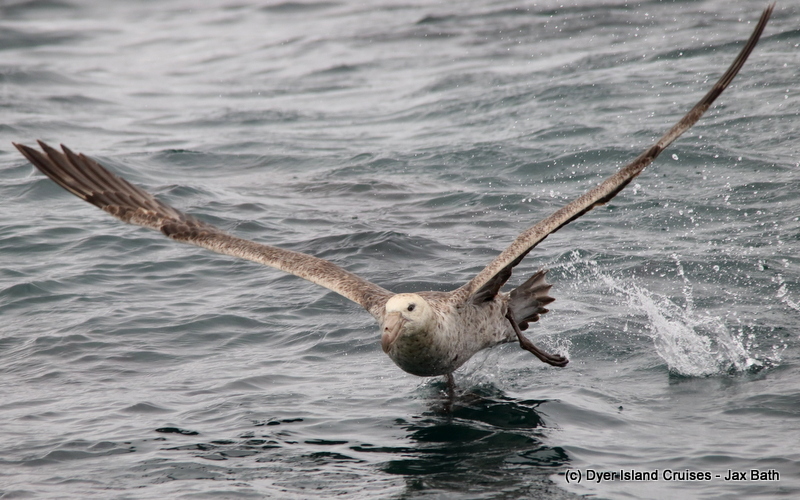 An elderly Northern Giant Petrel in Shark Alley. 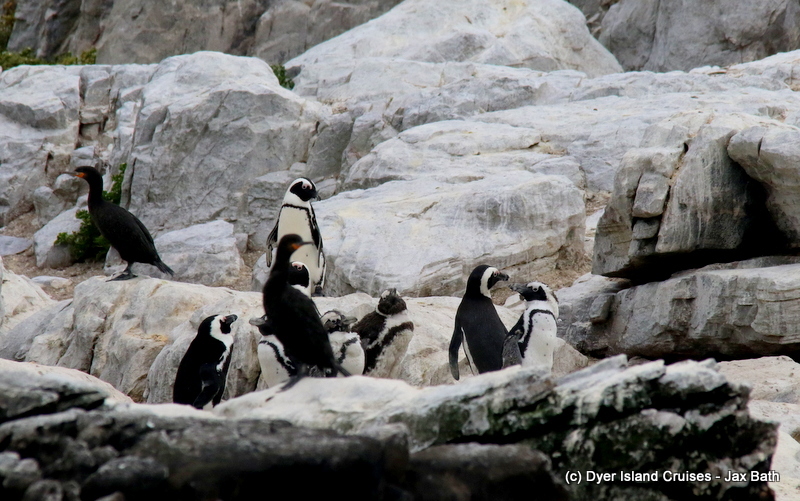 Our Penguins are always challenging ur spotting abilities, hanging out in some tricky areas. 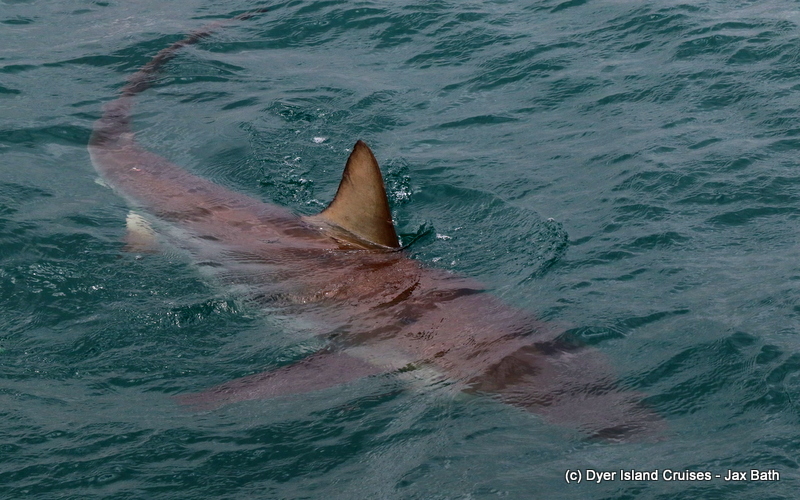 A stunning Copper Shark hanging around in Jouberts Dam. We really had an awesome time watching these beautiful predators in The Shallows, where we’re most often seeing larger females.